Floral prints and designs will always be there to save you from dilemmas. Floral prints and designs ate something that does not go out of trend. Whether it is 90’s or 20’s, floral prints and designs will always be there to save you from dilemmas that you face while styling yourself up. Here are some tips that can help you in getting dressed rightly and not going overboard with the floral prints and designs. These will help you in styling your floral outfits for different occasions to add spark to your look. * Floral print for work wear- Many of us think that floral prints are just or wearing at the parties and are not apt to be worn at offices. But you are certainly wrong. One can easily incorporate some florals in the workwear wardrobe. Go for minimal silhouettes and elegant prints. 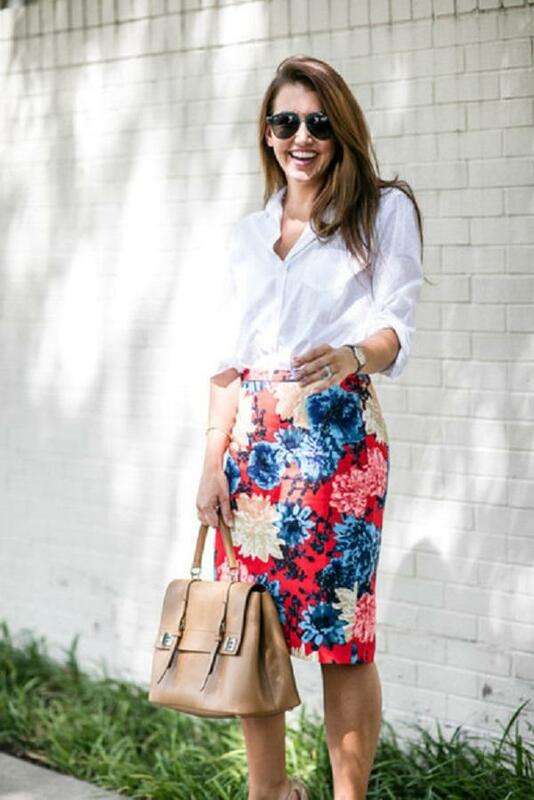 A floral shirt with a solid skirt would also be a great hit at your workplace. 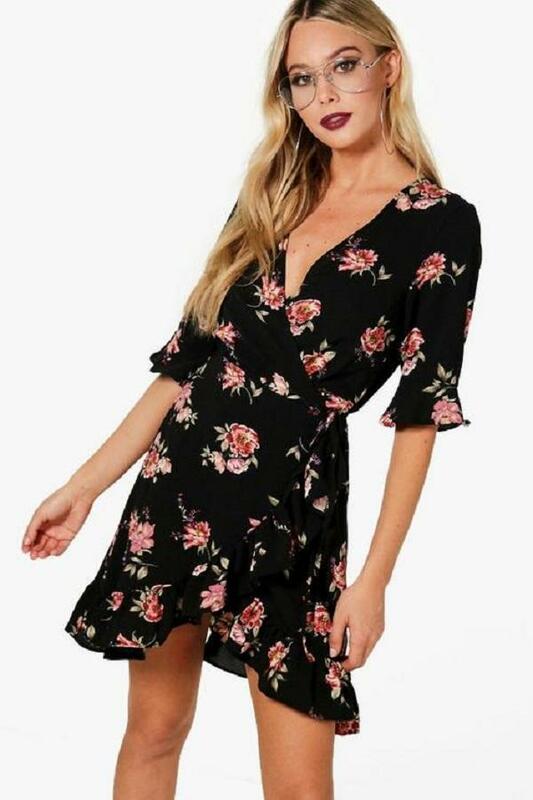 * Floral in the evening- Florals can be worn in the evening on a date or while you are visiting someone’s place. All you have to do is to go for a floral print over a rich fabric like silk, satin or organza. To complete the look go for a statement pair of earrings and nice contrasting pumps. * Florals for fall- Falls are the alarm for the upcoming winters but that does not mean that you can’t wear florals. Floral print skirts with tinted full sleeve blouses would look the best in this season. You can incorporate colours like slightly rustic shade of orange; go for floral printed mustards or a shade of lavender. * Florals for a picnic: what can be better than getting yourself clicked on the sands wearing the utter cute floral outfit? Remember to wear comfy clothes while you in some place of enjoyment and activity. A floral dress paired with a solid scarf also makes for a great outfit choice! You can also choose long floral shrugs instead and as they add a rich look to any dress.